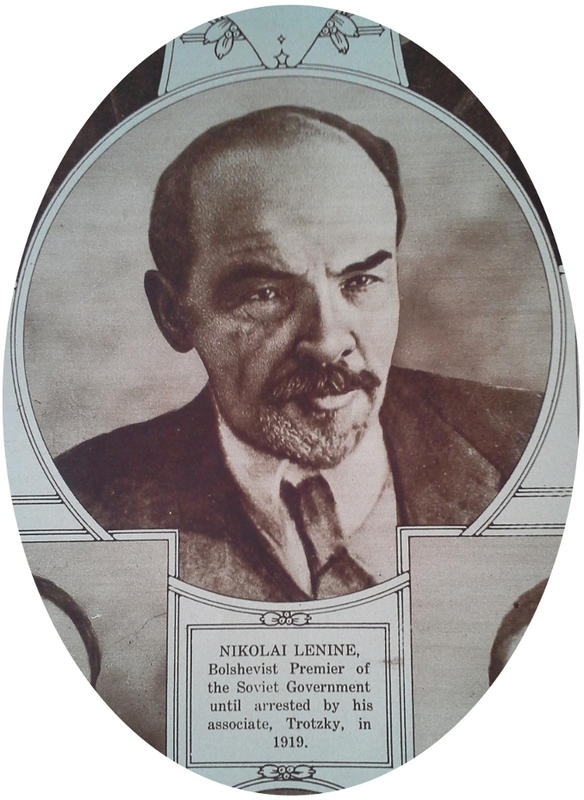 Nikolai Lenine, Bolshevist Premier of the Soviet Government until arrested by his associate, Trotzky, in 1919. Exiled from Russia after the 1905 Revolution, Vladimir Lenin, the leading voice of the Bolsheviks, lived and wrote in neutral Switzerland through much of the war. 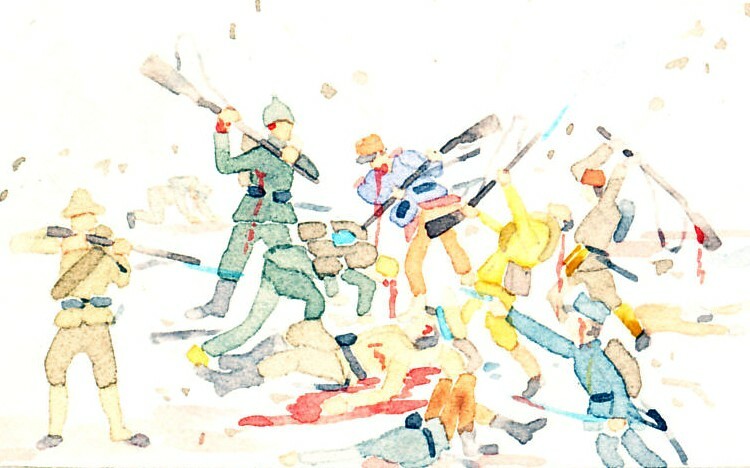 Arguing against an imperialist war, he wrote and argued that Russia's defeat would be a step towards revolution. Eager to have him spread his message within Russia, Germany transported him between the neutral countries Switzerland and Sweden on a sealed train (technically meeting the requirements of neutrality) for travel on to Russia. He arrived in Petrograd April 16, 1917 after the February Revolution. The next day he spoke to the Petrograd Soviet demanding an immediate end to the war, the transfer of power to the soviets, and redistribution of wealth. He continued to speak against the war and for his program, but fled to Finland in July in the turmoil after the Kerensky Offensive and a failed coup attempt by the conservative General Lavr Kornilov. The provisional government first imprisoned leaders opposing the war, then freed and armed them to defend against Kornilov's coup. Alexander Kerensky's failures as Prime Minister and War Minister increased the calls for an immediate end to the war. Lenin returned to Petrograd on October 23, and began organizing an armed revolt with Leon Trotsky. The Bolsheviks seized power in the October Revolution. Lenin was named chairman of a Bolshevik executive created by the soviets. Trotsky headed the peace negotiations that eventually produced the Treaty of Brest-Litovsk, and Lenin played little part in them. He opposed Trotsky's failed "no peace, no war" position that led to Germany occupying vast swaths of Russia. Lenin focused on internal affairs. Lenin was wounded in a failed assassination attempt in August 1918.